LAKE MUNT DA RINA (2180 m, H-R 5 h) From the Rina sports grounds, a marked trail leads to the Munt da Rina pastures on a 1-1.5 hour walk. 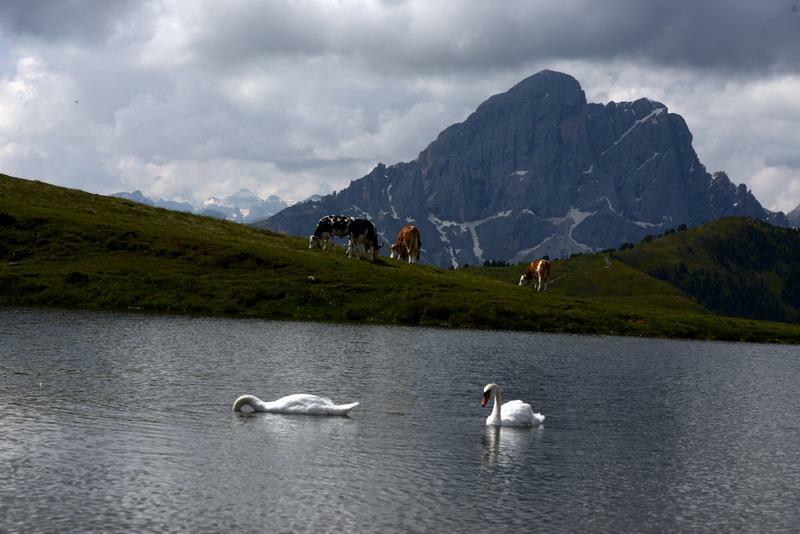 From there, you can hike on Col dal Lè all the way to the idyllic Lago di Munt da Rina (Glittner See in German). Return along the same route. By express highway Rosenheim-Kufstein-Innsbruck-Brenner up to exit "Brixen", where you continue toward the Pustertal (Val Pusteria). After about 20 km on the Pustertal na-tional road, always heading toward Bruneck, you turn off to your right just before St. Lorenzen, into the Gadertal, heading towards Alta Badia. The SS244 carries you up to Rina/Welschellen.